TL; DR: Progress OpenEdge adds considerable value for developers who create vital apps, and it recently released its most robust update to the platform — OpenEdge 12. While Progress has expanded its portfolio, OpenEdge development remains a priority because more than 2,100 businesses use it to develop and modernize apps essential to their success. OpenEdge 12 responds to their needs by improving scalability and continuous operations while including automatic repair features. The company says users who upgrade to the latest version can expect to see up to a 200% performance boost. When Progress released OpenEdge 11.7 in 2017, it was welcomed as the most robust update of the popular dev platform to date. In fact, a Forrester report on version 11.7 highlighted two entrepreneurs who realized a 375% ROI thanks, in part, to the updated platform. These companies found the most value in not having to rip and replace millions of existing lines of code to start developing new applications. That efficiency led the two OpenEdge partners to earn $855,000 in benefits on investments of just $180,000. Still, despite its usefulness, Progress didn’t rest on the success it saw with version 11.7. Instead, it got back to work upgrading the platform, and released OpenEdge 12 in 2019. Although customers are just starting to adopt the technology, the company is confident that the latest version will benefit companies even more significantly than the previous iteration. Progress offers users a streamlined application development process through its OpenEdge platform. More than 2,100 businesses use OpenEdge to create applications for use within their own companies or on the open market. For these clients, OpenEdge needs to remain responsive because of the ever-changing nature of mission-critical apps. As user requirements and demands increase, OpenEdge has lived up to its name — by staying on the leading edge of what developers need to ensure apps remain functional and useful. OpenEdge 12 addresses all of those trending concerns by offering scalability, reliability, security, and agile development — all while aiming to provide continuous operation. Progress identified fundamental changes that developers needed when working on OpenEdge 12. One of the most significant needs was scalability. To meet that demand, Progress introduced multi-threading to allow the platform to concurrently process remote client requests. In older versions, the server performed these requests individually. “OpenEdge 12 can fire up a new agent or two agents instead of one,” said Rob Straight, Director of Product Management at Progress. 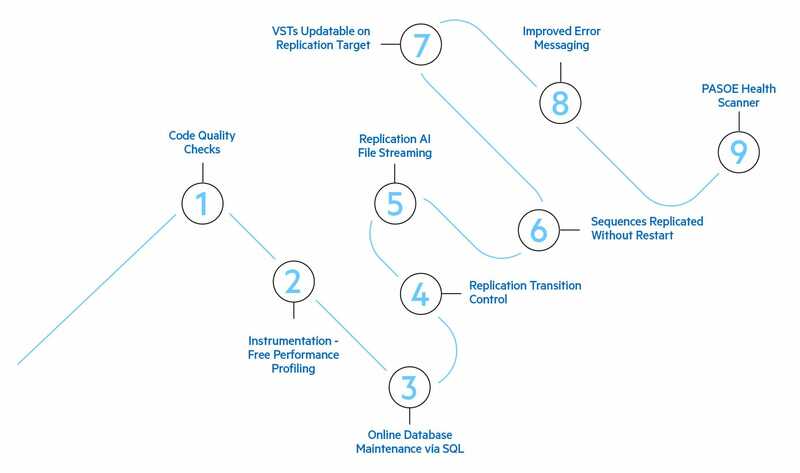 Other changes include autonomous update statistics that allow for more efficient SQL queries and modifiable virtual system tables (VSTs) on replication targets. In addition to these scalability tools, Progress has also tweaked its continuous operations capability. It accomplishes this in a few ways. For one, replication AI file streaming prevents data loss in an emergency by transmitting AI blocks to the recovery target. These improvements will lead Progress to its ultimate goal. “The holy grail is continuous deployment, to get your features out to your users as soon as possible,” Rob said. Progress also has its sights set on an ambitious and challenging goal: providing customers with 99.999% uptime. This desire to eliminate downtime has been a company mission spanning many versions of the product. Progress OpenEdge 12 offers businesses help at every step along the path to 99.999% uptime. Progress calls that goal Five 9s (99.999%) and offers a nine-step roadmap to companies that are on their way towards achieving it. To assist with this goal, the Progress Application Server (PAS) for OpenEdge HealthScanner is deployed at the end of the process. It reduces failure risks and increases uptime by automating the recycling agent and identifying performance anomalies while performance profiling runs root cause analysis on production environments. This type of proactive scanning helps to identify small problems and resolves them before they have the chance to become threats to a server. “We would like to have only about five minutes of planned or unplanned downtime in a year. And we want to help all of our customers achieve that,” Rob said. How has Progress managed to make OpenEdge so useful? It begins by being driven by application imperatives that provide value to an organization through scalability and agility. This focus has helped many clients see significant improvement after upgrading to version 12 — with some organizations seeing up to a 200% improvement in data throughput performance. Though some businesses may see incremental improvements — compared to the dramatic improvement seen by others — Progress is confident that all of its clients will notice performance enhancements after upgrading. Perhaps the most significant feature of OpenEdge 12 is that developers just need to upgrade to the latest version, not rewrite code or migrate files. That means they can automatically see a performance boost. And with the latest versions, OpenEdge 12 allows developers to take advantage of new technologies and techniques without having to start from scratch in rewriting code. The platform offers a source code analyzer that looks for syntax errors, unused variables, too many indexes, and similar anomalies. “We’ve been enhancing the compiler so our customers can tailor these strict compilation rules,” Rob said. Though OpenEdge 12 followed on the heels of OpenEdge 11.7, Rob said that the changes would make the product useful for years to come. 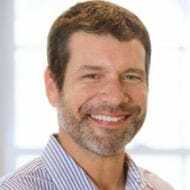 “One of our key motivations was to make a platform that could cover the technologies people will need for the next five to 10 years,” he said. Further, OpenEdge 12 is anything but a one-size-fits-all solution, which is why Progress works with clients to ensure they’re using the product most efficiently and beneficially. For example, the OpenEdge Information Hub provides videos and content to teach users how to get the most out of the product. These resources include guidance on communication and goal-setting. “Conversations should be ongoing, and milestones should be specific to business goals,” Barbara said. To that end, clients already have many options to individualize and automate the platform. For example, OpenEdge 12 offers monitoring capabilities that alert users when an app server might be starting to go bad. “If that happens, the system itself can say, ‘Maybe you should fire up a new app server, start redirecting requests to the new one, and shut down the old one,’” Rob said. Progress has many different processes and services, and, despite the success of the last version, continues to focus attention and resources on improving OpenEdge. After all, many companies rely on it to modernize their essential apps. That means the platform must not only stay up to date but also ahead of the curve — a task Progress has accomplished with OpenEdge 12.